We all have a deep desire to leave this planet better than how we found it. But these days, it's more important than ever to care about the wellbeing of Mother Earth. Thankfully, women like Brianne West are leading the charge to create tangible solutions to current environmental problems. 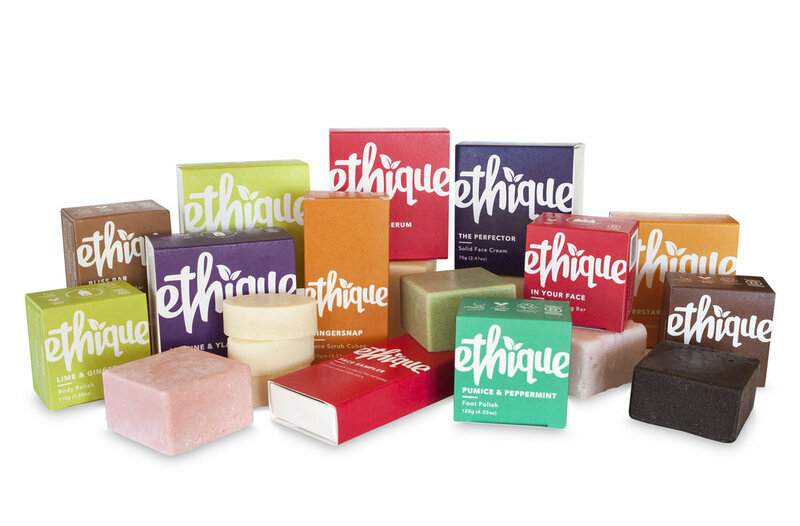 The Isle of Man native is the founder and formulator of Ethique, the worlds first ever zero waste personal care brand. Currently living in Christchurch, New Zealand, Brianne has built Ethique by channeling her passion and concern for the environment. After diving into the nitty-gritty details of the beauty industry, she discovered just how problematic the current standards are for Mother Nature and all her inhabitants. Instead of just complaining or making homemade alternatives for herself, Brianne created a line of effective products for the mass markets that are as effective and good for the customer as they are for the environment. Her story of transforming passion into purpose is wildly inspiring, but we asked her the questions that have been stumping us about being ~actually~ eco-friendly. Mainly, how do we play a part in the problem? And more importantly, how can we have an active role in the solution? Read on for her remarkable story, plus her advice on how you can create change with your wallet and your everyday choices. You started the first zero plastic, zero waste personal care brand in the world. How did that idea come about? 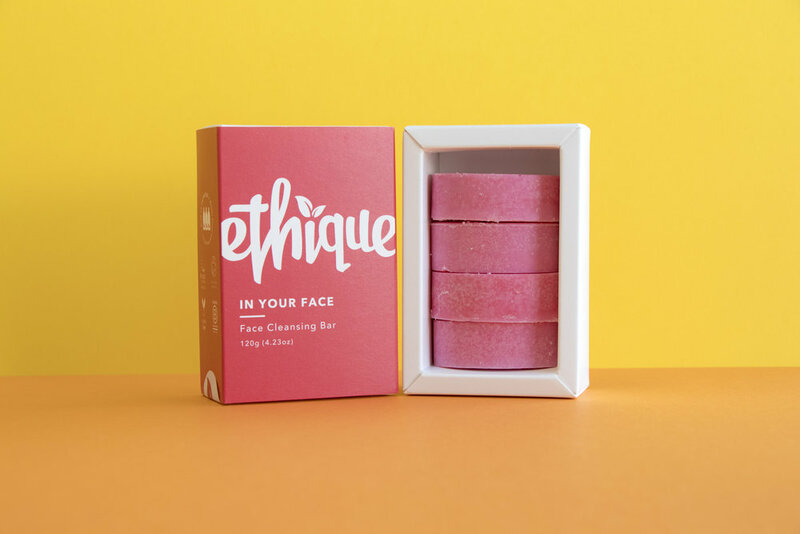 Ethique came about as a combination of my passion for the environment, knowledge of cosmetic chemistry (and the waste the industry creates) and the desire to create a business that had far more at its core than just making profit. 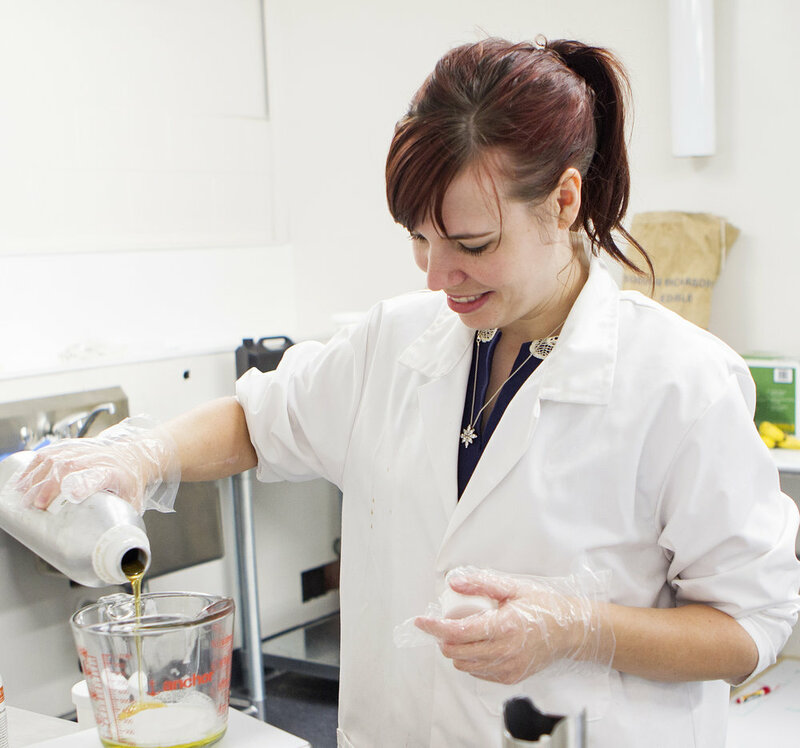 Years ago while I was studying at university I taught myself cosmetic chemistry from scratch with loads of research into what each ingredient does and how to build a product from the ground up. Up to 75% of shampoo and even 90% of conditioner can be water, which just seemed crazy to me. Obviously, water is an important part of the product, but I was interested in what happened if you simply combined the ingredients without water. 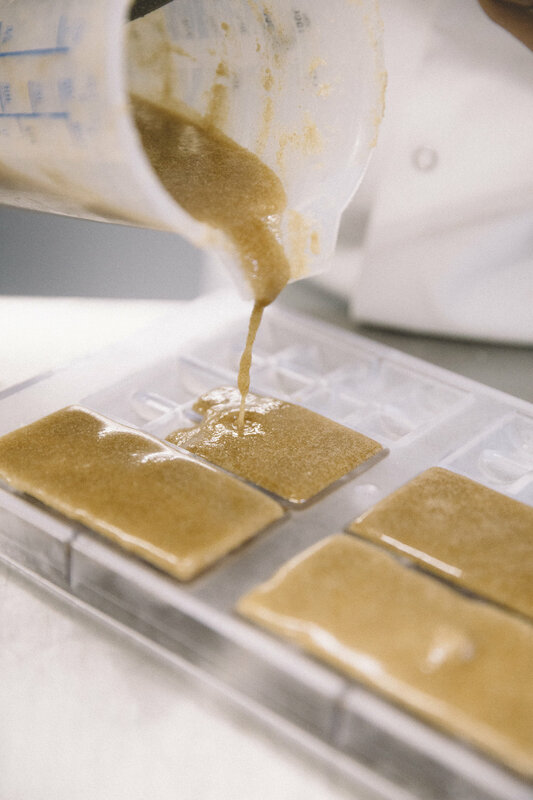 Shampoo bars aren’t particularly unusual, but the majority of them are soap, which has a very high pH which leaves a residue and roughs up the hair cuticle leaving some people with a result less than desired. I wanted to create something much closer to a typical salon quality shampoo- but solid of course! After some fabulous feedback from my guinea pigs (human ones, of course) I branched out into conditioners, then started replacing everything in my bathroom with solid versions. A couple of our newer products do contain a little water, such as The Perfector, our solid face cream and Bombshell our self-tanning bar which is necessary to get some of the ingredients in there, but the majority are completely water free. Being the first isn’t easy. How did you take an innovative approach in a crowded space? I have always had a passionate love for experimentation and science in general (being an astronaut is my dream job) as well a desire to protect our environment. I never really grew out of that really annoying "but why?" stage kids go through (ask my colleagues!). I started my first cosmetics company when I was 19 and at university, which was a more traditional liquid company out of the desire to work for myself and the urge to experiment and make things. It taught me the basics of cosmetic chem and when I saw how it is currently, I thought it might be good to mix it up a little. Whilst it was fun, it didn’t tick the "saving the environment" box, so I moved on to Ethique with our aim of saving the world from plastic bottles. It hasn’t been easy–building any business isn’t–but what makes it easier is so many people immediately understand our "why" and it’s an easy concept to grasp. Sometimes people are freaked out by something so novel, but we tend to win them over. We’re now five and half years old, manufacturing thousands of products a day and exporting all around the world, with the focus being Australia, the US, Taiwan, Hong Kong, and Japan. We have a range of 43 products, pretty much covering anything you’d find in your bathroom. We’re certified cruelty-free, climate neutral, vegan, a living wage employer and New Zealand’s highest-scoring B Corp. It’s been an incredible ride so far and I hope it just gets bigger and better! What is your intention for Ethique’s mission now and in the future? Long story short, I want it to be a significant multinational brand that puts a bar in every shower. 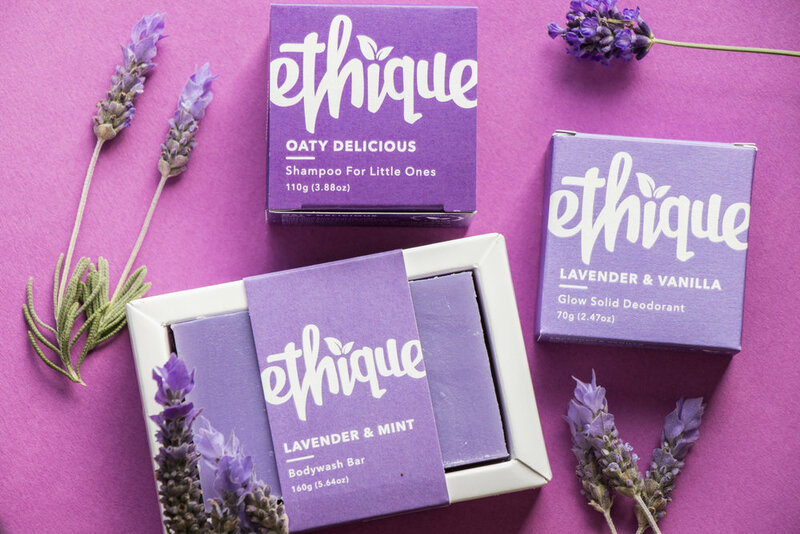 By that, I don’t mean necessarily one of our bars, but I want Ethique to inspire other brands to think about how they sell and package their products and encourage consumers to think if they really need liquid body wash or shampoo, or have they been taken in by marketing. Our solid products are really no different, the shampoo is shampoo, NOT soap, the conditioner is what you buy in a bottle, the moisturizers are the same as lotion, just without the water. You have water in your bathroom. Why do you need it in your products too? We have new products on the way, including a line of household products (watch this space), new international markets, new retail partnerships (for the US in particular), new team members, and new ways of people accessing our products. It’s all very exciting! Okay, let’s get into the environmental conservation end of all of this. In creating Ethique, what have you learned about waste in the beauty industry that most of us may not know? Packaging wastage is huge in the beauty industry. A lot of products, particularly more high-end brands, have packages within packages, none of which tend to be recyclable as they are made out of mixed materials. The majority of cosmetic packaging is obviously plastic and yes it is often recyclable, however, what most people don’t realize is that only 12% of plastic worldwide is actually recycled and that 8 million tons end up in our oceans every year. I don’t say that to put people off recycling, because it is better than nothing, but the way cities and countries currently manage their waste streams is not effective. By and large, some places are doing a much better job. But I read a report yesterday that said recycling is now becoming financially unfeasible in some countries, so the problem looks to continue. Palm oil is another massive issue many people are aware of. The production of palm oil is destroying rainforests in Malaysia and Indonesia, which is the habitat for so many animals, many of which are being forced towards extinction. Palm is estimated to be in 50% of all products in our supermarkets and it’s certainly in most of the cosmetics that are used every day. Whilst there is sustainable palm out there, there are some doubts as to how sustainable it actually is as the supply chain is extraordinarily complex. It’s actually a complicated issue because a lot of small-time farmers and producers who produce it sustainably depend on palm for their families and communities, so a complete boycott puts them in harm’s way. It’s also the most efficient oil by a significant margin, so it takes fewer palm trees than other species to produce the same amount of oil. The best option is truly sustainable palm, which needs to be demanded and ensured by big manufacturers, such as Nestle, Mars etc., who have really only paid lip service to this cause so far. Water is a concerning issue that is developing pretty quickly. Look at what is going on in Cape Town at this very minute. Water shortages affect 700 million people currently. That number skyrockets to 1.8 billion in 2025. That’s incredibly scary. 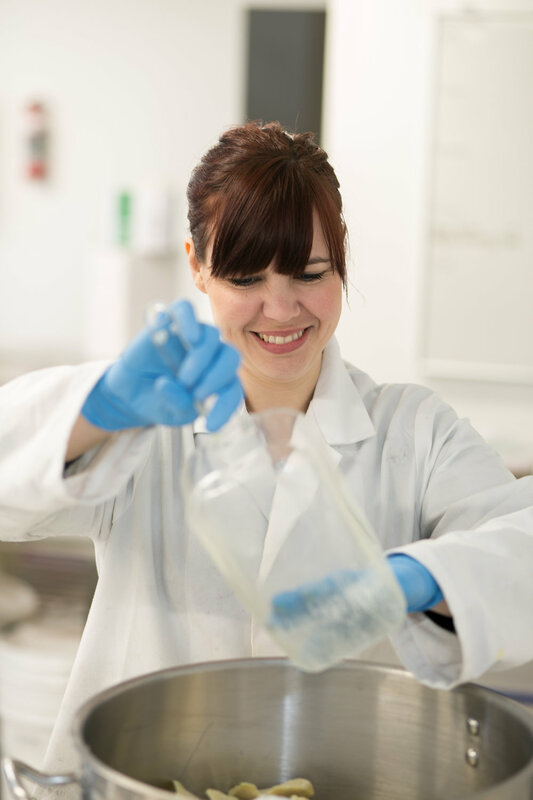 Water is used in excess both in the manufacturing and formulation of products and it is great to see that some companies are looking at how to conserve their resources. Then there is, of course, carbon footprint management (in particular as a result of freighting ingredients and products around the world), ingredient supply chain transparency, child labor, and renewably sourced ingredients. The list goes on! There’s a lot of misinformation in the clean beauty and environmental conservation spaces. If someone is passionate about these areas, how do you recommend they go about finding reliable facts? The internet is hit and miss, as you get a lot of passionate people who leap to conclusions or simply spread hearsay, which really doesn’t help. Speak to scientists, conservationists, and environmentalists who have qualifications or at least experience in the area you are interested in. You need real facts, not fake news. I do a lot of research and I love reading, so I enjoy it, but I can see how frustrating it is if you just want to know what a decent product to buy is. You’ve said you’re focused on ridding the world of plastic waste. How can we adjust our daily habits in practical ways to help in that mission? Ethique was founded to rid the world of plastic bottles, and there’s a movement growing on social media: #giveupthebottle. Using less single-use plastic is an easy way to support this cause, and it extends past cosmetics. One of the easiest things to do is to ditch plastic water bottles–there is just no need for them. A zero-waste kit is also made up of a reusable coffee mug, tote bag, travel cutlery set, or a couple glass/bamboo straws for your purse or office to avoid single-use plastics throughout the day. Composting leftover food instead of throwing it away is another easy way to make an impact. Depending on where you live, you can use a curbside service or start your own compost at home. Taking public transport where reasonably practical or consider riding a bike. I look forward to the day when we are all driving electric vehicles! In terms of the consumer herself, what are the personal threats she faces by using non-sustainable personal care products? Plastic is known to leach harmful chemicals into the contents and as of yet, we really don’t know what the long-term effects are there. Plastic is ending up in our ocean at a frightening rate and this means it’s ending up in the food many depend on. Over 3.5 billion people rely on the ocean for their primary source of sustenance and we are seriously compromising that. Every time you buy something with microbeads in it (and they’re still out there), you are washing them straight into the ocean. Unfortunately, because some of the effects are less obvious, immediate, or tangible, people tend to forget about them. Let’s say someone is balling on a budget. In purchasing clean, sustainable personal care products, are there certain items we should especially prioritize? A good shampoo bar (not soap based!) that matches your hair type may ensure you don’t need to condition. Oil is nice, but doesn’t tend to moisturize half as well as a cream (which is oil and water) as water is what hydrates your skin, oil just prevents water loss. So a good solid lotion bar that comprises some water-soluble ingredients (like our new, just-about-to-be-released ones 😉) will last you a long time and you can use from head to toe. Tooth care is a bit tougher, but there are plastic free tooth powders and floss out there, they are just a tad harder to find. Makeup is another challenge altogether, but there are companies now coming out with glass containers (although glass isn’t recycled in NZ much at all) and there are refillable powders out there too. What is one thing you wish everyone knew about environmental conservation when it comes to the beauty industry? Dig deeper. Many companies are deliberately misleading, hoping that people don’t call them on it. There are loads of great ones too though, so sniff them out and support them. Innovating isn’t easy and you surely hit some challenging roadblocks. If you could tell your past self-one piece of advice while you were in the early stages of Ethique, what would you say? Stop worrying about things that are weeks/years away, they probably won’t happen anyway. Who is on your power playlist? Too embarrassing. I have a taste that varies from death metal (on bad days) to Britney Spears. Who is your favorite fictional character role model? Hermione Granger or Atticus Finch. What book left you inspired? SO many. Most recently, Shoe Dog by Phil Knight, the founder of Nike. What is your secret to staying organized? Get other people around you to organize you. I couldn’t organize my way out of a paper bag. Do you have a passion for environmental conservation? What is your advice for making eco-friendly choices? Teach us all by commenting below!